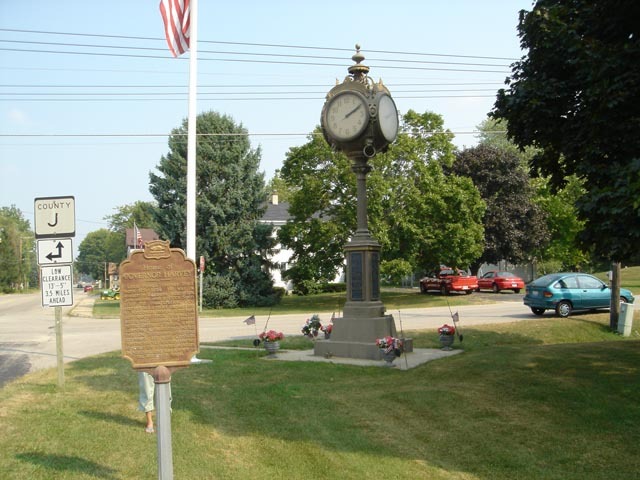 Located at corner of county S and county J Rock county Wisconsin Coordinates Lat N 42:34':321" Lon W 88:56':411"
Louis powell Harvey lived here 1851~1859. He was a leader in business, education, journalism, and politics. Soon after his inauguration, Gov. 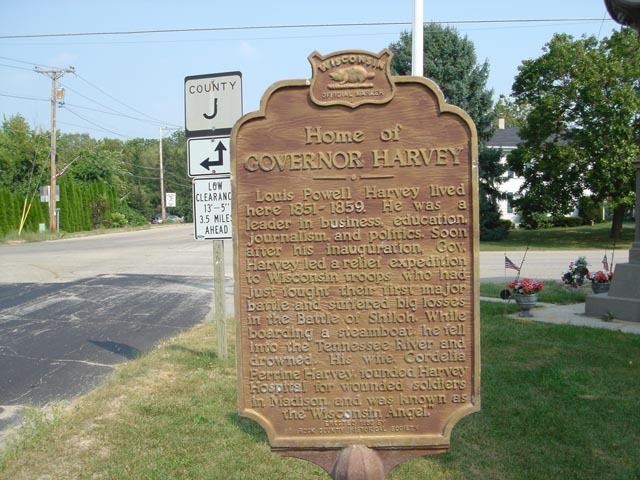 Harvey led a relief expedition to Wisconsin troops who had just fought their first major battle and suffered big losses in the Battle of Shiloh. While boarding a steamboat he fell into the Tennessee River and drowned. His wife Cordelia Perrine Harvey founded Harvey Hospital for wounded soldiers in Madison and was known as the "Wisconsin Angel"